Read Across America Coming on March 2nd! Read Across America is sponsored by the National Education Association (NEA). This annual event seeks to bring children, teenagers and books together. 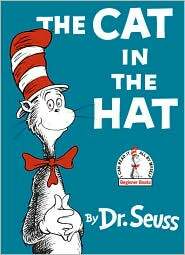 March 2nd is also the birthday of the famous children’s author, Theodore Seuss Geisel (Dr. Seuss). We live in a town that used to be part of Springfield, Massachusetts, Gisel’s birthplace. At the Quadrangle in Springfield, there is a Dr. Seuss National Memorial Sculpture Garden. Bright Nights, an annual holiday display of lights, also has a series of displays dedicated Geisel, called Seuss Land. Schools, libraries, and other organizations are planning events across the country to celebrate this year’s Read Across America Day campaign. You can learn more and find tips on how to create a great event at the NEA’s Read Across America site. You can become a fan of Read Across America by visiting their Facebook fan page. What events are you planning to help celebrate this year’s Read Across America Day?